Ben Katchor has such unique views of urban life. Here he draws the parallel of how the durability of prison construction is eventually adopted by the outside world. 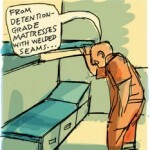 Detention grade mattresses with welded seams. 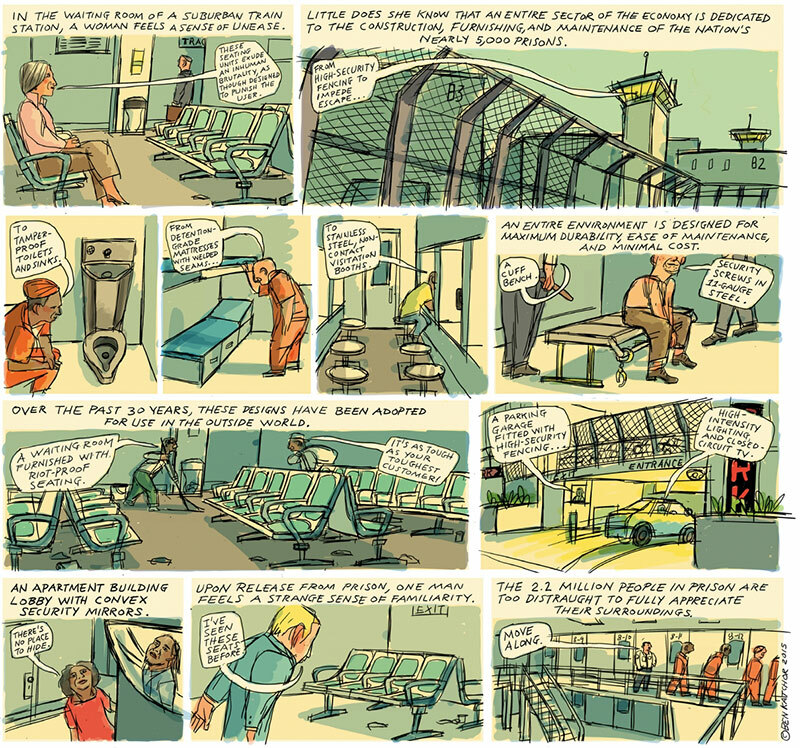 My favorite part is when a released prisoner recognizes the riot-proof seating in waiting room. We all can tend to follow the same routines every day. Do these routines put us into a sort of prison? Shine some light into your life and mix things up a bit. Drive a different way to work. Stop and take photos of sidewalk cracks. Or give Katchor’s books a try on Amazon. 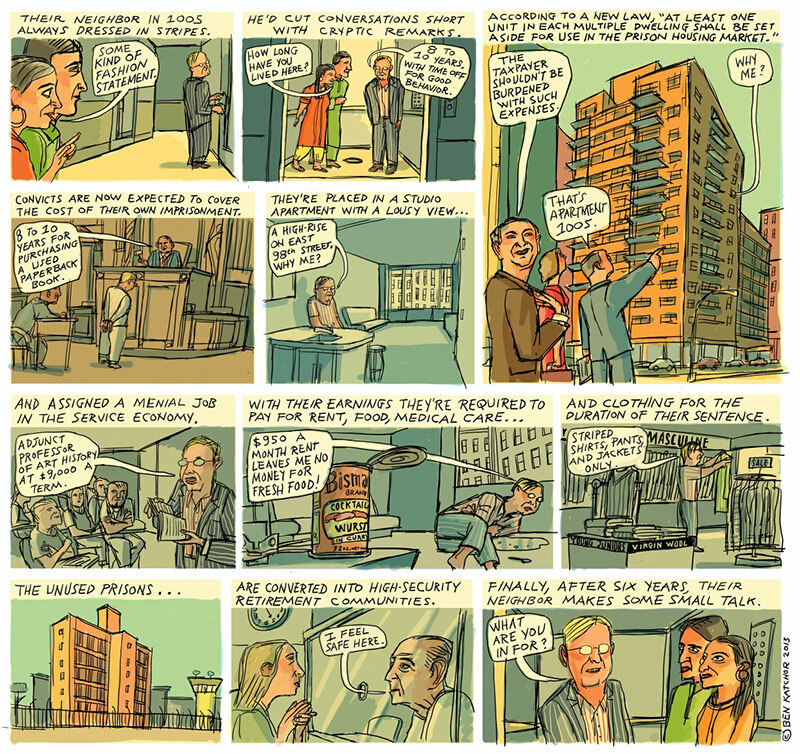 He has a very quirky and quiet perspective on the subtleties of living in a city. 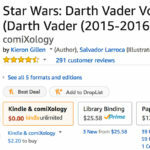 Should you buy your comics on Comixology or Amazon?